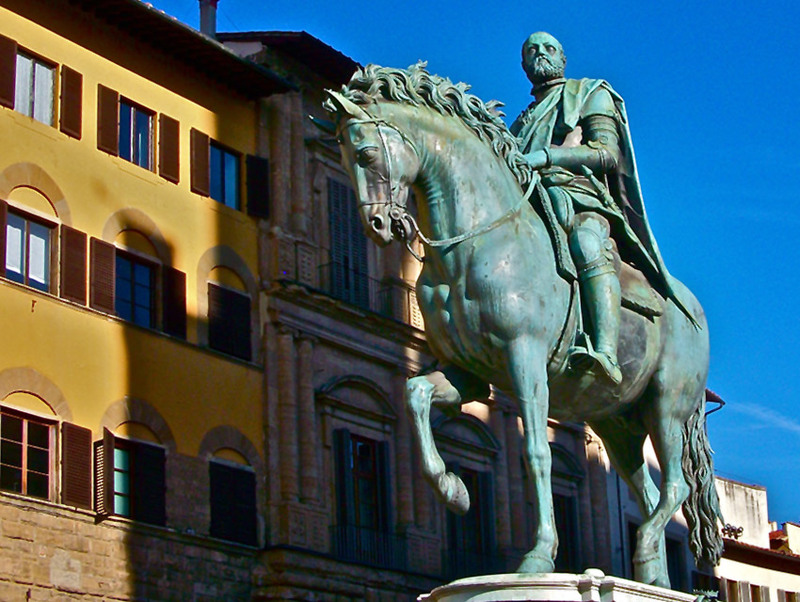 This tour begins in the piazza della Signoria. We jump into the world of the Medici dukes. The town hall was their first ducal palace and they transformed the square in front of the building with sculpture. Then, we visit the Uffizi gallery which Cosimo de Medici built for his offices and the administration for the duchy, and then shortly after the top floor was dedicated to showcase the Medici precious objects and art. 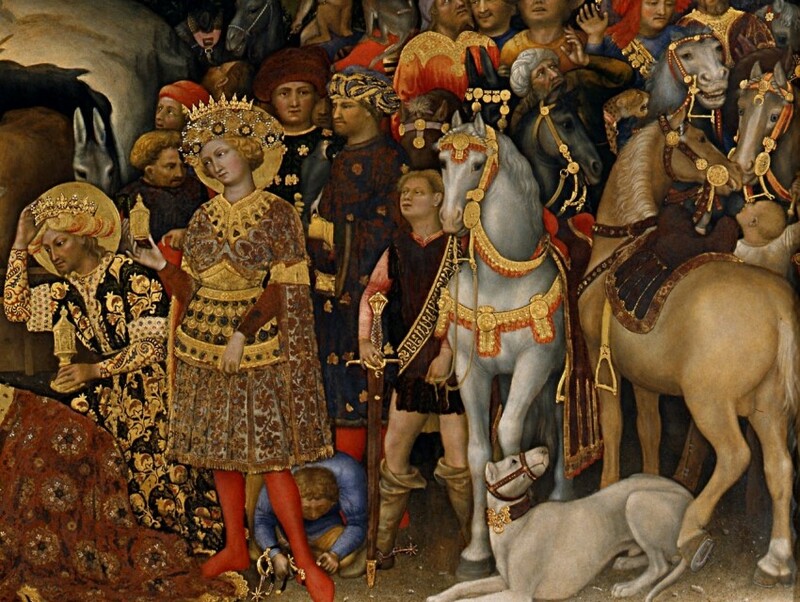 We visit some of the most important painting masterpieces in renaissance history and discover the fashion, cultural and way of thinking of people centuries ago. We decode the visual symbols together and piece together some of the most interesting periods of history. This is a tour for anybody who loves a good story and likes history told through images. In front of the copy of the statue of David by Michelangelo in piazza della Signoria. The above prices are for the tour only and do not include the admission fees to the gallery. Admission fees to be paid on the day at the ticket office with guide. We will make the ticket reservations for the gallery ahead of time to avoid the long lines. In high season there may be an unavoidable short wait in the reserved line due to the very busy tourist period. It is not possible to make a reservation to avoid the long lines on the first Sunday of the month. Please note: For parties of eight or more people Freya’s Florence will organise rental of personal headsets for use during the tour. Headsets cost 2.50€ for a half day tour and 4€ for a full day tour. Full price admission costs 16.50€ (ticket 12.50€, reservation fee 4€). Children between 6-17 years have free admission but reservation fee must be paid, 4€. Original passport must be shown as proof of age for free/reduced tickets to the ticket office staff upon ticket purchase. Payment for the tickets can be made by credit card or cash. 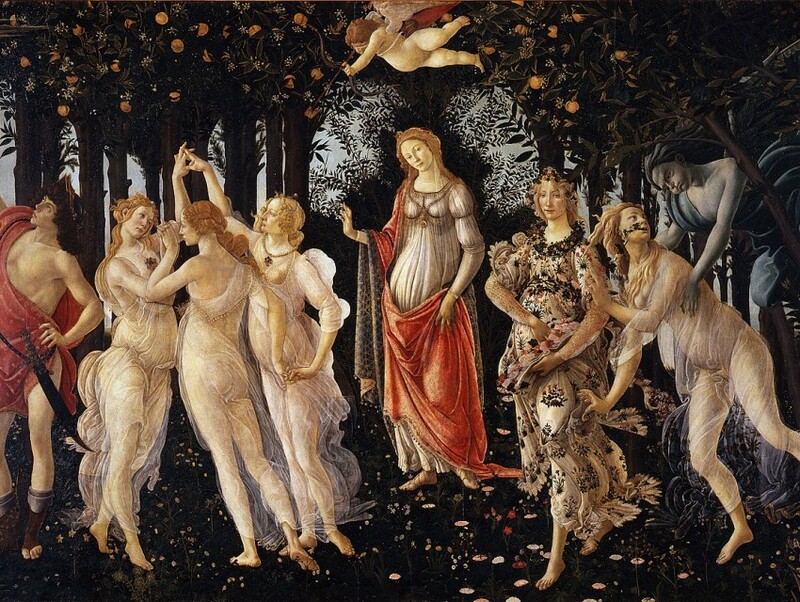 We will make reservations for the Uffizi to avoid the long lines but please remember that in busy periods there can still be a short wait even for visitors with reservations. It is not possible to make a reservation to avoid the lines on the first Sunday of the month. Tuesday is the busiest day of the week because the gallery is closed on Mondays. It is advisable, where possible, to avoid booking this tour on a Tuesday. If it is the only day you have for this tour we recommend a start time of 8.30am to avoid the crowds.